Why did Scytl’s automation in Ecuador fail? 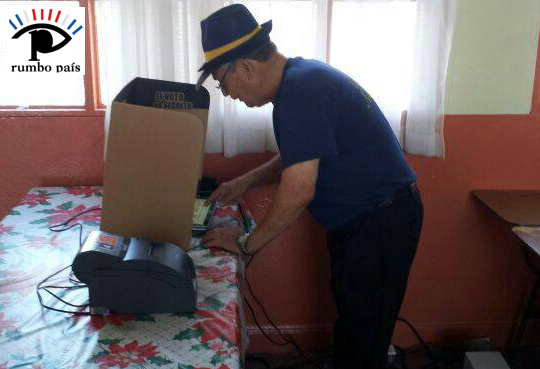 During the recent sectional elections held in Ecuador (February 23), the National Electoral Council (CNE) successfully implemented two electronic voting pilots in the provinces of Azuay and Santo Domingo de los Tsáchilas. However, in the remaining provinces –in which Ecuadorians voted manually- the automated tallying process, proved disastrous. That poses the question, why did Scytl’s automation of the tallying process fail in Ecuador? In Santo Domingo de los Tsáchilas the CNE attested that technology is a powerful tool to maximize efficiency in electoral processes. Not only were the results delivered in record time, but also the audits to the system proved total accuracy in the results. In Azuay, where the CNE tested an electronic counting system- a ballot with a chip- the experience was very similar. If the electronic vote and the ballot with a chip worked well, then, what happened in the rest of Ecuador? The CNE had entrusted the Spanish company Scytl with the totalization of the results in the provinces in which the electronic vote was not implemented. The commitment was to deliver results within 72 hours, at most. A month later, Scytl was still totalizing and trying to get final tallies. In consequence, last week, Domingo Paredes, Ecuador’s CNE president, blamed Scytl for the delay in delivering official results, and in a press conference he detailed the penalties they plan to impose to the company. Despite the fact that Osman Loaiza, Operations Director and spokesperson for Scytl, admitted there were failures in the system, he now claims that the solution they deployed worked correctly, and that the company intends to take legal actions to collect the payment agreed. According to the original plan, upon finalization of the manual counting, tallying reports would be manually generated, and then delivered to the Intermediate Totaling Boards (JIE), where the process of digitalization would begin, for a later automated consolidation and allocation of votes. It is in the JIEs where Scytl’s job began. The Spanish company was to scan hundreds of thousands of tallying reports with their scanners, to generate the digital images their software was to interpret later and generate results. Due to the high level of error their scanners, Scytl decided to include -in the already complex process- a series of validation and verification procedures to try and guarantee accuracy. These would be done online by around 3.000 operators. In the face of this foreseeable mistake, it is noticeable the lack of experience in the automation of complex elections. The digitization process of the manually information entered into the tallying reports- to be later processed by other modules of Scytl solution- was extremely deficient. Even though proper functional testing was carried beforehand, not sufficient stress tests were performed to certify the application was scalable. These stress tests, are aimed at determining the robustness of an application when the massive flow of information happens. Based on the evidence, it seems that Scytl was surprised to see that 27,895 candidates were disputing 5,651 provinces, municipalities and districts; and that 11 million citizens were eligible to vote. The volume of tallying reports simply collapsed the application designed by the company. Neuquén will join the roster of Argentinean provinces that use electronic voting. The Municipal Executive Branch approved the implementation of electoral automation “in a complete, gradual, and progressive manner,” both for the voting and the tallying. Read the news here.